For all you Corsair fans out there, here is your chance prove it! 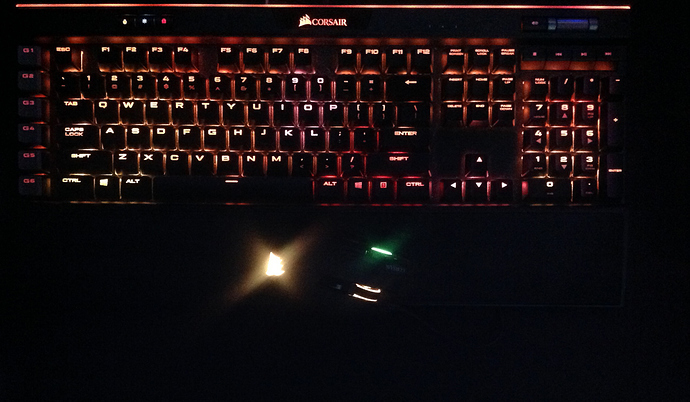 Colourful, plain boring or not even the owner of a corsair product? No matter! Let us sway you to our ways! Did you know that Corsair was founded in 1994, and has grown from pioneering the high-performance DRAM market to one of the worlds leading providers of enthusiast-grade PC components and peripherals. 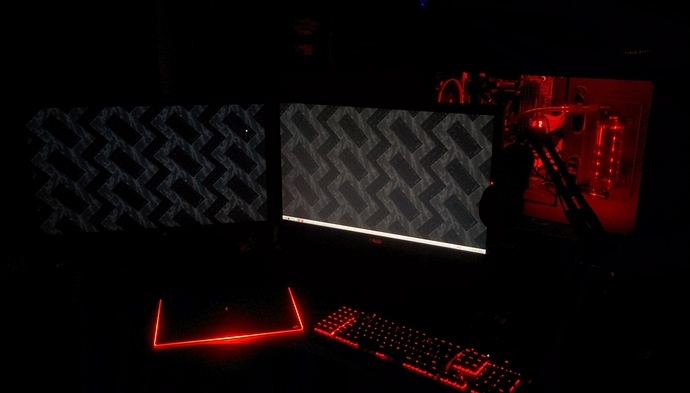 Their groundbreaking technology and innovation can be found in high-performance memory, ultra-efficient power supplies, PC cases, PC and CPU cooling solutions, and solid-state storage devices. 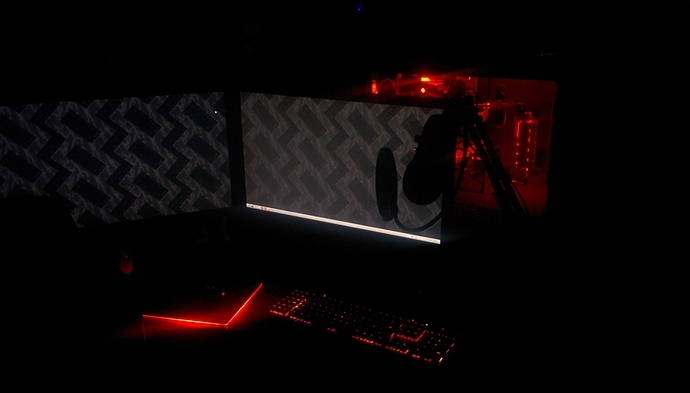 Under the Corsair Gaming brand, launched in 2014, they have provided gaming keyboards, mice, headsets and mouse mats to eSports professionals and anybody who is passionate about competitive PC gaming like you and I seem to be! I use a softer orange palette of flickering flames, a profile called Fireplace, seen in the first picture below. An added lighting kit rims the interior at the top of the case. And this is the Neverwinter Nights Enhanced Edition profile, with red beating heartbeat every 6 seconds across the num pad and all bottom row of keys. A mouse appears in all three pictures (thirdmouse) is also from Corsair, a Sabre RGB. Keyboard is the K95, a newer version than your own based on what I see. 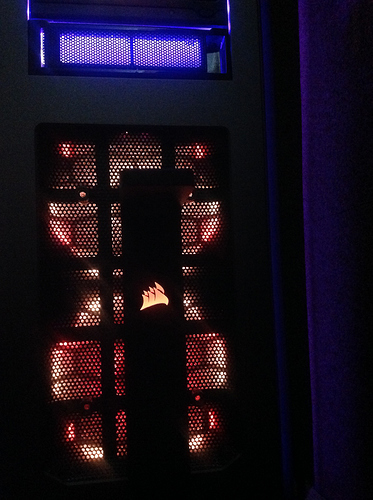 Two front fans plus a headphone stand, with the led strips glowing from up top of the case, can be seen in this photo. The fans are matched to flicker like a flame when the Fireplace profile is running. 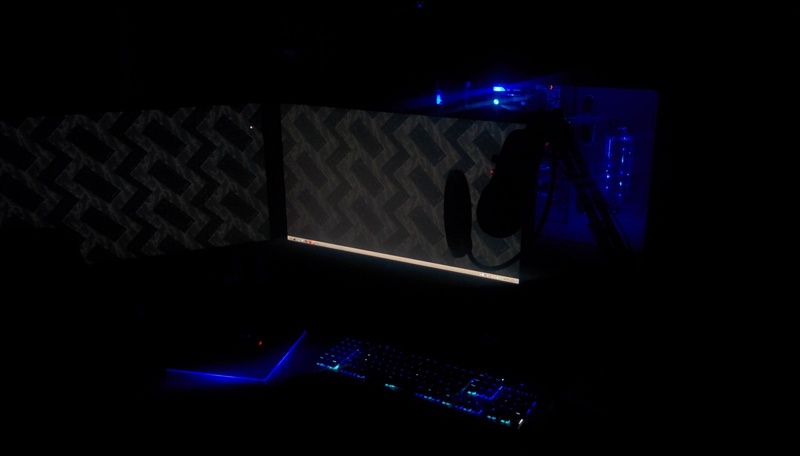 Finally, I have a second string of LEDs around the back of the monitor that I control through the Corsair iCUE software and it illuminates the back of the wall at night which makes it easier on my eyes and screen glare by having a light on at the desk or ceiling lights. Did you know that Corsair has developed a global operations infrastructure with extensive marketing and distribution channel relationships, and their products are available through leading distributors and retailers in over sixty countries worldwide. Your account appears to have been hacked. Erm… nope. All seems in order. So much kissing up I figured I must have wandered into an adults only server. This is a Corsair love nest. Lost a lot of faith in Corsair. iCUE 3.5.111 is plagued with issues. Corsair forums is quickly filling up with angry people. Main issue that everyone is experiencing, including myself, is CPU spikes every 5-10seconds. If you shut down iCUE, including the service it stops. Everyone claims iCUE is no longer in beta and hasn’t been for a while, I would have to disagree. 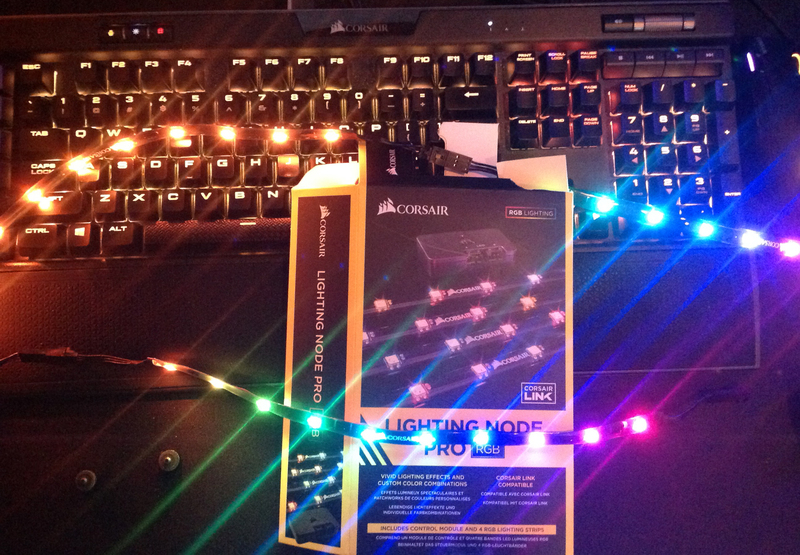 I removed my Lighting Node Pro and sold it off. 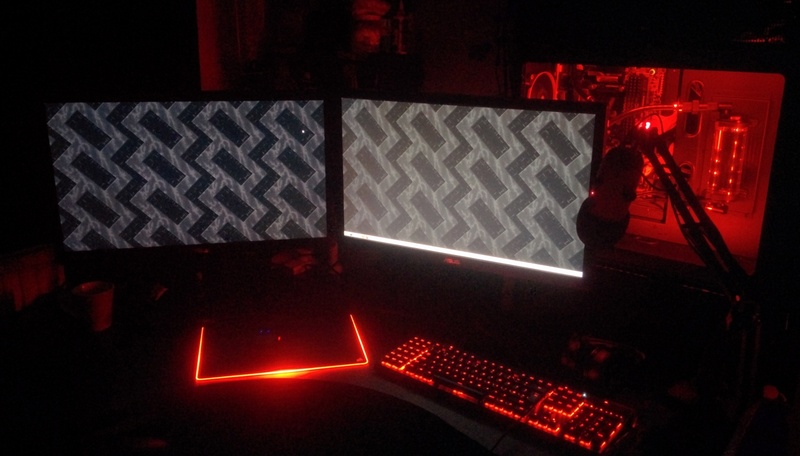 This issue persisted with the recently released version v3.7.99 however a small group of us were contacted by Corsair devs and we’ve been working with them to resolve this. Turns out a user by the name of DevBiker came up with a simple fix that even Corsair couldn’t. I sincerely hopes this works for you as it did myself.